This post contains major spoilers for season 2 of Stranger Things. If you don’t want spoilers, click away now. The further you read in this post, the more spoilers you get. However, you don’t need to have seen the show to understand the main points of this blog post. If you’ve not seen any Stranger Things at all (and don’t plan to) you’re good to go. Okay, now that all the warnings are out of the way, the post starts below the image. In the third episode of Stranger Things season 2, The Pollywog, Dustin visits the local library to try to find out as much as possible about a pollywog that he found behind his house. While the creature was stranger than any science book could possibly describe, Dustin – and the audience – learned some real science in the process. Dustin checks out five books, which are briefly visible on the library counter. One book has no visible title, but a Dewey decimal number 597.9, which is indeed in the reptile section. Two books have titles, but aren’t findable online. 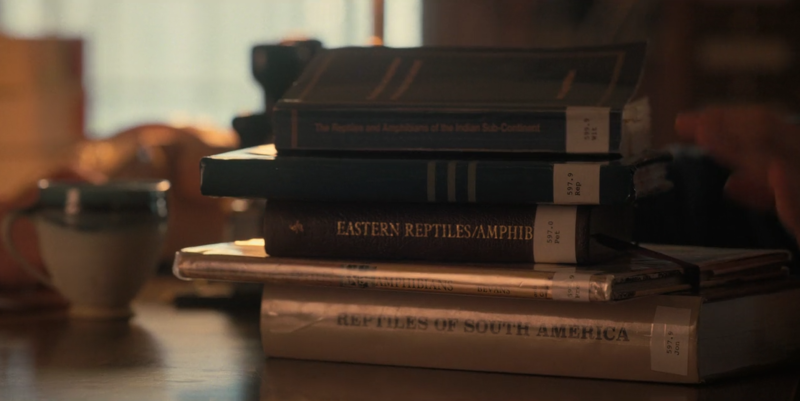 Reptiles of South America isn’t in WorldCat under that title, and a search for The Reptiles and Amphibians of the Indian Sub-Continent only brings up two other blog posts about this Stranger Things episode. That book also has a wrong Dewey number, which is strange. 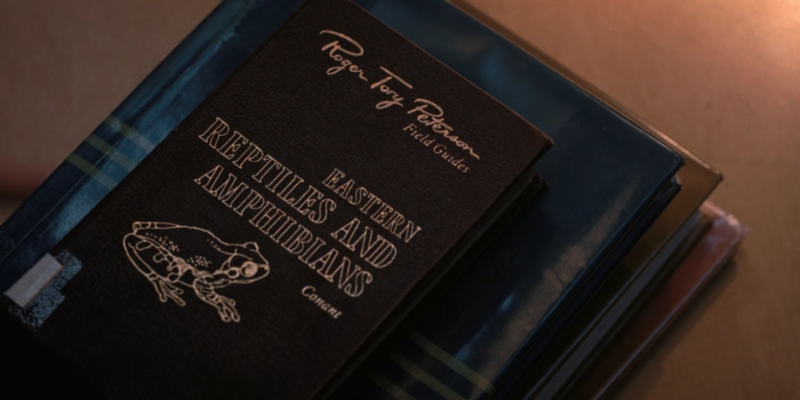 But the two remaining books are recognizable: Eastern Reptiles and Amphibians by Roger Conant, and The Book of Reptiles and Amphibians by Michael H. Bevans. The Conant book is visible again in a later scene. It’s the Roger Tory Peterson Field Guide edition from 1984 (the year in which Stranger Things 2 is set). Pollywogs are tadpoles: a developmental stage in amphibians. Dustin found a pollywog in the stage where it has front legs, but no back legs. 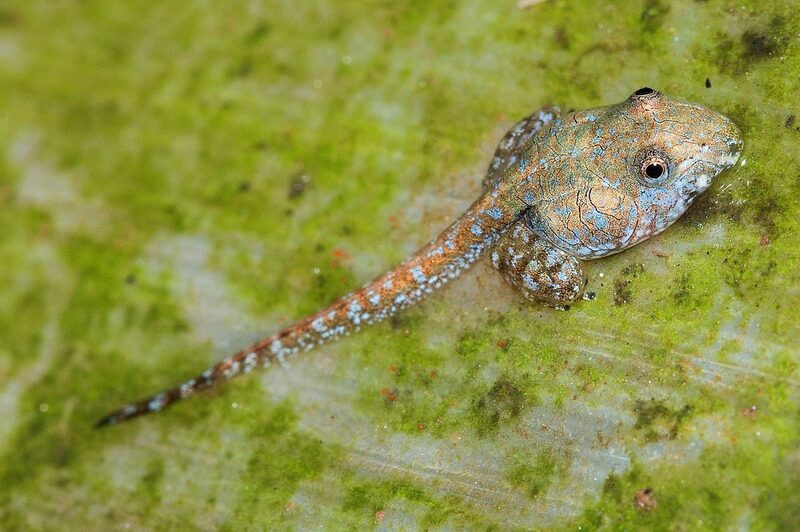 This is different from how most tadpoles develop: they would get their hind legs first. The most interesting feature about Dustin’s pollywog, Dart, and what sets it aside from most amphibians, is that it doesn’t live in water. Dustin found it behind his house, and kept it in a terrarium, where it thrived without any water. Of course, if you’ve seen the rest of Stranger Things season 2, you know that the reason Dart doesn’t need water is that it’s a creature from the Upside Down, not catalogued by regular-world scientists. Before he realises this, Dustin turns to his library books to try to find out if there are any amphibian species whose young don’t develop in water. There are. He finds two, and these are indeed two species with terrestrial pollywogs: Indirana semipalmata (see image below) and Adenomera andreae. One is from India, and the other from South America. Both species lay eggs on land, and their tadpoles grow up on land instead of in the water, like most frogs. Indirana semipalmata tadpole, on land. (Also notice its two hind legs.) By mvbhaktha via Wikimedia Commons. CC-BY. Whenever a fictional show includes science – either imagined or real science – there is often a moment where someone has to explain it. 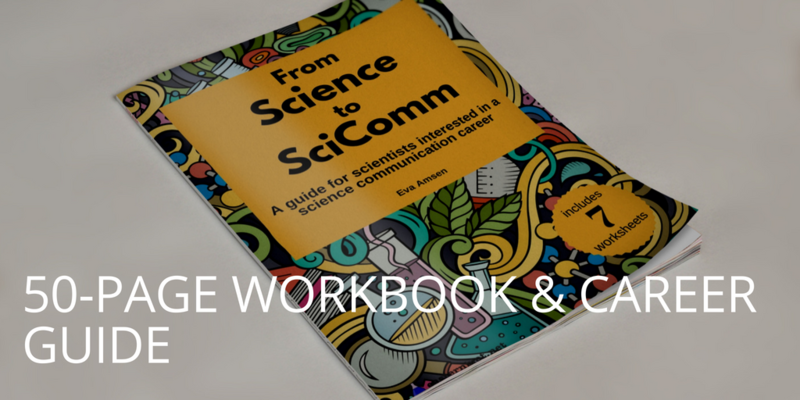 This character is usually a teacher or a scientist, and at some point in the story they narrate all this pertinent scientific information, so that you – the viewer – are also caught up. Think about the scientist giving a lab tour in Jurassic World, or about the diary-style narration of The Martian (whose main character was conveniently a scientist/engineer). In the first season of Stranger Things, the science explainer was the science teacher, who taught the kids about sensory deprivation tanks. In Season 2, Dustin takes on the role of the science explainer when he studies his library books and then summarizes what he found to his friends. The writers and prop department went through considerable effort to add scientifically valid explanations about terrestrial pollywogs and include real reference books that would include this kind of information. This might seem like a lot of unnecessary detail and work, but it’s important. You think I’m just saying that because I would love to increase interest in science through all media. Sure, but learning that there are two species of terrestrial frogs by watching Stranger Things is just a nice bit of trivia, and not part of some higher educational goal. But there is an artistic reason why producers and writers of TV shows and films make an effort to include real science wherever possible. Having real science makes the whole story seem more realistic, which in turn makes the audience get more involved in the story. Realism in film making isn’t just about science. It’s also about paying attention to the details of the fashion of the times, consistency in set design, avoiding anachronisms, and generally fact checking references to verifiable details. When something is obviously wrong, it distracts you from the story. By having Dustin research amphibian science, we know that the characters know how impossible Dart is. They studied the same real world science that we have access to, so we are surprised and confused with them. Briefly considering that Dart could have been one of the two known species of amphibians that have terrestrial pollywogs, makes it all the more satisfying to realise that he is, in fact, a Demogorgon from the Upside Down. Sometimes knowing the science just makes the story better. I wrote about the trend toward science realism in film and TV for Nautilus last year. 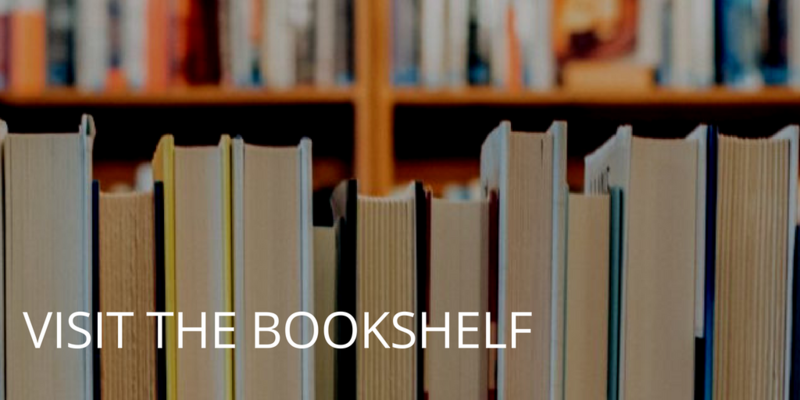 Cinematic Literature is a Tumblr blog about books on screen. They also noted the books Dustin checked out. The Spanish-language blog La Ciencia de la Vida also wrote about the science of pollywogs in relation to this Stranger Things episode. Christian Kammerer pointed out that Indirana semipalmata wasn’t yet known in 1984. Very interesting! It’s crazy how much detail is in every scene. Now I want to go back and rewatch S2 to find all of these easter eggs!